Please tell us a little bit about yourself and your career. My name is Vitomir Jevremovic, I am the founder and CEO of VR ALL ART. I started learning programming and software development when I was 10 years old. Then, at the time I was finishing high school, there was no official curriculum for computer science, so I decided to enroll at Faculty of Electrical Engineering. The obstacle I faced there is that I would get to study programming only during the 4th year of studies. Consequently, after one year of studying there, I decided to change direction and enrolled at the Faculty of Archaeology instead. That’s how my passion for connecting digital technologies and culture began to develop. As I was especially interested in computer graphics at the time, I started suggesting new ideas to the archaeological community, which led me to develop digital tools for archaeological excavations. From then on, I started my professional career in archaeology and it was cemented with the establishing of the Centre for Digital Archaeology at University of Belgrade. We have operated numerous 3D reconstructions of archaeological sites and tried to expand the implementation of interactive technology in museums, which our concepts later extended to. We took off creating applications, databases and data-registers for these institutions. A while later, my interests once again shifted to incorporate new passions, this time marketing and advertising. I was the director of the digital sector in one of the biggest marketing agencies in Serbia, where I gained experience working on various projects with international brands and corporate clients. Then, through the agency we have created the first virtual museum in Serbia, so after that success I decided it is time to move on and to start my own company. Ever since Digital Mind was founded 7 years ago, we’ve been developing new and cutting-edge technologies in the fields of marketing, culture, education and entertainment. Our products range from interactive installations, mobile apps and web apps, to hardware such as holographic installations, interactive surfaces and standalone products. The increasing usage of virtual reality technologies gave us the opportunity to start implementing them in both marketing and education. One of those projects is Nikola Tesla’s virtual museum, published on VIVE port, one of the first museum experiences in VR. This project, which was one of the biggest challenges for us, was donated to the Tesla Museum on Tesla’s 160th birthday. In the following months, VR ALL ART came to be. Being already familiar with VR technologies, we wanted to make a more significant contribution to the world of art & culture through usage of immersive technology like virtual reality. It became crystal clear that the future will be more virtual and that creating a platform which will unite all stakeholders in one place will be a global undertaking worth the risks. 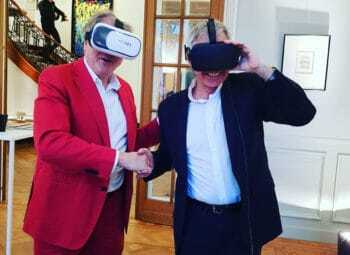 READ MORE: WHAT IMPACT COULD VR HAVE ON THE CONTEMPORARY ART FAIR? Could you please present your company? VR ALL ART is a new platform for artists, galleries, collectors and museums to exhibit, explore and acquire art in virtual and augmented reality. We believe that the future of art is in virtual realities one way or another. The important thing that people may not understand is that virtual reality will happen. It’s only a matter of time, the development of hardware and adapting to changes and technological progress, but it is inevitable. We believe that creating environments that encourage people to enjoy art and culture is perfect for endorsing these new technologies in a proper way. Websites are an inadequate tool for representing any artworks, whereas virtual reality allows a fully immersive experience in any art piece. This is what we want to create – an alternative dimension for the art world that will take place in virtual reality so art and culture can continually grow in size and popularity. We want to pioneer this movement and, with the help of new technologies, try to solve many problems for galleries, museums and artists. Considering the business model, we have various verticals of generating revenue. These range from art sales, subscription models and virtual exhibition fees, to commissions from renting art, hiring art experts, curation rewards, etc. Our main profit channel is commission from art sales and this is where our focus will be. However, we believe that with the increased number of virtual reality exhibitions, the sales of tickets for these exhibitions will only grow in the future, as soon as enough content is produced for VR exhibitions. We will publish all the packages for our platform and our business model soon. As we know from Art Basel’s market report, yearly sale of all art pieces is estimated at $63 billion, while online sale is at $5.4 billion. Having said this, our vision is to open up new opportunities within the art market and create new customers for art sales. Once means are provided for people to visit exhibitions in virtual reality, possibilities for new collectors will open up. We want to educate new market participants on how to purchase art and what art can bring them. 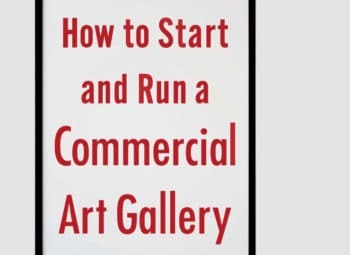 It’s about creating a completely new market segment, consisting of people who have never purchased art, who have never thought of themselves as art lovers, and convert them into potential collectors. This is also a crucial step toward creating a liquid art market. With the blockchain-implemented registry, which is hardwired into our platform, we enable people to resell art they have bought. We give purchased art the liquidity, which will substantially change the industry. Once you can easily resell the art piece you have purchased and you are familiar with the process of art trading, as you have already experienced it, you won’t hesitate to do it again. We want to shape a whole new class of art consumers who will now look at art not only as something to admire and enjoy, but also something to invest in. Could you please present your partners and key employees? First of all, I would like to present Alexander Fuerer, VR ALL ART’s co-founder and COO. With great experience in Marketing and Creative industries, working for Switzerland and Berlin-based advertising agencies, he has won numerous awards within the mentioned fields. He is our commercial and digital strategist. He oversees operations and is crucial for forming the next steps of the project with me. With PhDs in both Economics and Physics, Milos Bozovic is our main financial and economic expert. He is an Assistant Professor at Faculty of Economics, University of Belgrade and an External Lecturer at the Department of Management and Economics of European Business School in Germany. We put our trust in his expertise in economic modeling and development of sustainable strategies concerning crypto economy. Marko Krmpotic, our CTO, is a senior developer who has worked in interactive industries for many years and is planning and overseeing development together with myself. Strategic operations are managed by Sanja Bestic, a long-term coworker from Digital Mind and a producer in the fields of music industry and theatre, as well as the founder of MC Gallery, NYC. 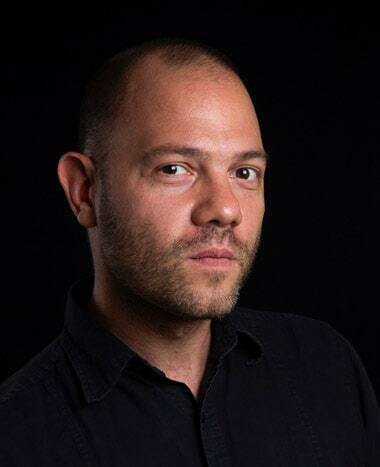 Milan Markovic is VR ALL ART’s on-boarding expert in the field of arts & culture, in charge of art market research and creating strategies for different stakeholder groups. There are many more dedicated developers, 3D modelers, marketing and sales team members who are working hard to make VR ALL ART shine. In addition, I would like to mention our advisors, eminent professionals in the fields of art, archaeology, cultural heritage, as well as crypto experts, without whom the many challenges we have faces thus far would have been overwhelming. Jan Eugster, artistic consultant and the founder of Eugster Gallery, Lizzy Moriarty, former Head of Partnerships at the British Museum, digital cultural heritage expert Sorin Hermon and Sofia Pescarin, co-director of VHLab. They are the people from whom we have learned the most, but also CryptoAdvise AG, who have helped us with our coin development models and general crypto topics. We also work with KPMG, Crypto Valley Association, CV Labs and VR Switzerland, as our trusted partners. What is the relationship between VR ALL ART and Digital Mind? VR ALL ART was conceived in Digital Mind. Its first product was developed within the Digital Mind company and we are now expanding it. VR ALL ART is actually a spin-off company whose main developer is Digital Mind. Could you please walk us through your services to galleries, museums and artists? We created a tool for artists, galleries and museums to exhibit in virtual reality and be able to sell art on a worldwide marketplace. At the same time, we are developing a blockchain registry based on CIDOC-CRM standard, which will automatically register art pieces on the decentralized ledger and handle all transaction through blockchain. This should have a great impact on all the stakeholders in the community, primarily because they will no longer be limited by physical boundaries. We believe that our platform will facilitate a new way artists and galleries can promote and sell their work. 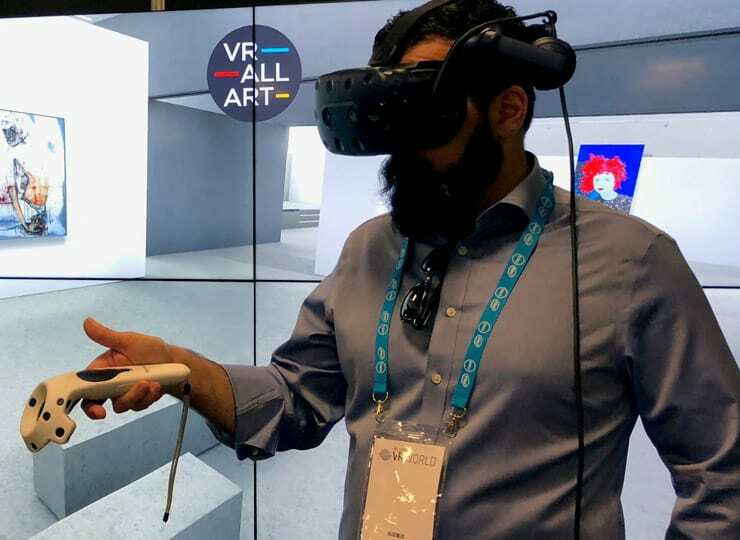 For galleries, aside from using VR ALL ART as an exhibition planning and archiving tool, as well as for organizing virtual exhibitions, the platform also brings them a bigger reach. With VR technologies, for the first time, we will enable people to come into a real gallery without the need to travel to a specific country in order to visit it directly. 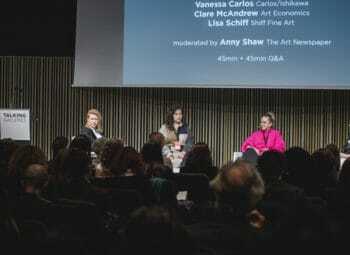 This is essential for creating worldwide impact and enabling cross-border collaboration between different art sectors. Museums, however, are a different challenge. They are more traditional and thus less willing to incorporate big changes. Sometimes they are very afraid of experimenting with new technologies. Virtual reality is something that, in their own mind, can distract people from coming into their institutions. Digitization and preservation of cultural heritage is one of their core missions and we have a solution for it, using our own surface scanner for better digitalization of paintings. 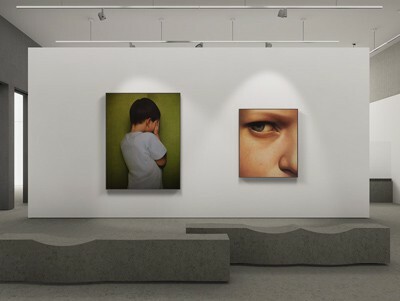 On the other hand, we want to broaden their horizons with possibilities that have never existed before, which is to create exhibitions from art pieces that are in storages, depos or vaults. Preserving cultural heritage which might be destroyed or damaged and can’t be moved, like monuments, is a problem which can now be approached in virtual reality. We also see possibilities of creating “teaser” exhibitions which can draw more people to museums and provide them with a hint of what can be found there. Universities are also an important piece of the puzzle. 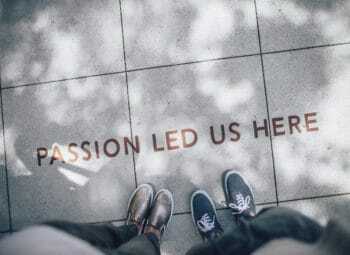 In order to create new tools for education and provide a chance for better learning, Universities can organize visits to old masters’ exhibitions in distant locations, all the while drastically lowering their expenses and thus training new generations of art historians, artists and curators. This is where we see VR ALL ART’s essential role. We believe that there will be a time when the number of virtual reality visitors will be bigger and more important than real life ones. Maybe we are afraid of this future, some of us are and some of us are not, but we will just have to see what it holds. In the end, it won’t be important who did it first, because when it happens, all that will matter is how we approached the transformation and whether there is quality content behind it that people can enjoy. Please describe your VR technology and the equipment required to view exhibitions. Our flagship device, which we recommend, is HTC Vive Pro, the best headset currently on the market. We also use other headsets, compatible with the open VR standard, and we can say that we had some great success with Dell VR Headset which uses Windows Mixed Reality technology. This is exciting because you can literally pack it in a backpack with your laptop and access galleries in virtual spaces from anywhere in the world. In the future, we plan to support mobile VR, too. This means that every mobile device will become a window to virtual reality galleries any cardboard you can find to use it with. Additionally, we are utilizing mixed reality technology for which we have developed a prototype version for Microsoft HoloLens. We strongly believe that the next version of HoloLens will fully open up mixed reality as a platform for many new developments, where holograms will literally start being a part of our everyday life. We are getting ready for the future. Please explain the scanning process of an artwork with your surface scanner. Parallel to the development of VR ALL ART as a platform, we have also developed a special scanner we call “two-and-a-half D” or easier “surface scanner”. This scanner extracts multiple layers of details from the surface of paintings. By using a regular digital camera and affordable add-ons, you will be able to get more details from paintings, from original color to texture and shininess of the surface. We think that this new technology will, in a way, revolutionize digitalization of paintings for three main reasons. First, better identification of the originals. Second, preservation of art through digitalization, which actually protects cultural heritage. And third, presentation of paintings in virtual reality which brings higher level of details and realism. Having witnessed the unfortunate fire at Brazil’s National Museum and the destruction of an enormous amount of priceless artworks and artefacts, we start asking questions like: Have we digitized the art? Do we have it archived? In how many details? We believe that we can prepare the world for protecting cultural heritage better by implementing technologies like the surface scanner. 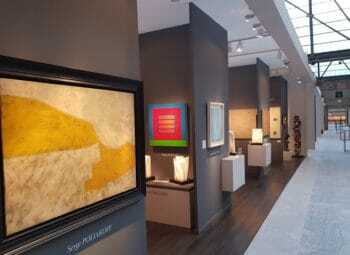 I believe you navigate in a very competitive environment with established technology providers and online platforms such as Artsy, Artnet and 1stdibs. Do you share my perception? If yes, who are your biggest competitors and how do you intend to position your company? Yes, I share your perception. Not only online portals, but many traditional art market participants are also, in a way, our competitors. However, we see them more as our potential partners. We wish to position VR ALL ART as an expert provider of a unique VR experience, and also as a platform which connects the arts & culture community with blockchain. That’s why we believe art market participants have potential interest in collaborating and joining forces with us. 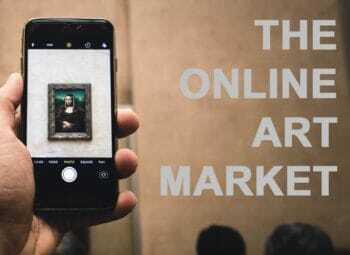 Speaking of competitors, we can say that the online market is growing 10% per year, a significant amount, and we see there is still space to create a whole new community of art collectors who have never bought art before. This is what we deem the biggest opportunity for art market growth. Exploring the paths towards a VR future, we want to create the highest quality experience and a product which will be a useful tool for solving problems. We recognize the transformation of regular visitors into VR visitors as one of our biggest potentials. We will do that by making 3D environments for museums and galleries with photos of the highest quality. This, we believe, is what makes us unique on the market. You are privately funded and you have recently raised two million dollars by issuing crypto coins. Could you please explain this funding mechanism and explain the purpose of your Coin/Token? When we raised the first investments, our coin was envisioned as a cryptocurrency. One year ago, when most cryptocurrencies aspired to position themselves as asset or utility tokens, we were wondering which one of the two options would suit us best. As our original plan was to have utility tokens, we started searching for an appropriate economic model for its development and growth. Exploring the most suitable ways to incorporate the existing token economy into the platform, we came to realize that the model needs to be changed. In order to keep the economy and prices stable, releasing a classical utility coin that will fluctuate simply wouldn’t be applicable. So we have separated platform functionalities from speculative token economy. Our new token model is tailored for investors, enabling them to participate in the art market, but made not to interfere with the platform’s functionalities or market conditions. It’s based on programmable revenue participation, which means that investors who purchase tokens will be able to lock them in accounts of art pieces (one or many). When those art pieces are sold, they will share profits with VR ALL ART, based on the amount and percentage of tokens they have locked. It’s important to mention that this is not fractional ownership of an artwork, but rather a fractional ownership of the profit generated from commissions of sales that are realized through the VR ALL ART platform. Please describe further the purpose of your Coin in your ecosystem. What we are creating is an entirely new token model, which operates by providing investment opportunities for people interested in art. All-Art token is a security token and, by purchasing it, investors have the option to participate in all sales happening on the VR ALL ART platform. The circulation of tokens is conditioned by distributing a fixed amount. After the sale is finalized, locked tokens are re-distributed to the buyer, seller and the platform as an incentive to the market participants. 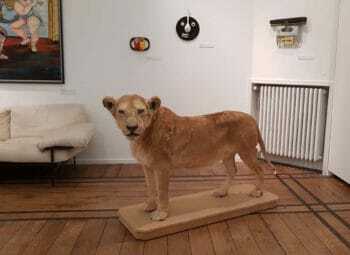 In other words, tokens are re-distributed to art sellers and art collectors to boost their general involvement in the art market. Another option for investors is to sell their tokens on the secondary market, should they choose to liquidate them and return their investment quicker. We are working with Swiss regulators to create conditions for opening up the secondary market for tokens and we expect that to happen soon. 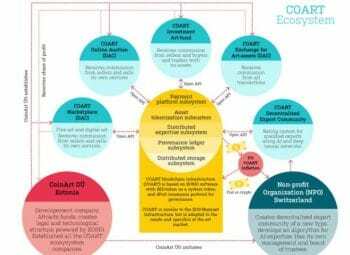 The conclusion is that All-Art token will be categorized as a security token, even though it has some special characteristics, like requiring participation and engagement from investors. They can choose which art piece they want to lock the tokens into or decide whether to sell them or not. Individuals or organizations who contribute money can play with their investments and, depending on the way they choose to play the game, they will get their investments back. Investors will have full control returning their investments, utilizing crypto-enabled innovation of token economies, that we believe will change the face of the investment industry. I understand that you are also exploring opportunities to register artworks on a secured blockchain. What can you tell us about this project? This is all interlinked. While providing a place to upload art pieces, the platform will automatically register them on the blockchain, thus providing a source of immutable truth. While this brings liquidity to the art market, it also allows for the transparent participation of investors. Even though the sales on VR ALL ART will go on in fiat currencies, the blockchain-enabled platform will provide escrow accounts that will facilitate the purchases and sales of art. Although we wanted to implement VR ALL ART on Ethereum platform, we have decided against using it, since it cannot provide us with the functions we need for the art market. We are now looking to deploy on Stellar platform, one of the newer fast-growing blockchain ecosystems, which also allows participants to use regular currencies more easily. We think this integration of blockchain into regular payment processors is the missing link needed for faster and broader adoption of blockchain-enabled projects. Christie’s Art + Tech Summit was an extremely interesting event that helped highlight issues around Art and Blockchain. 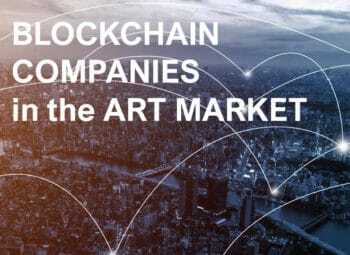 Do you believe that blockchain technology will impact the art world? How will it impact the art industry? I believe that blockchain will change the world – it is only a matter of time and patience. Art market is in desperate need of blockchain, because of its immutability. We need to provide a secure way to store data in a decentralized database, accessible to everyone and controlled by no one. I think that this feature of blockchain will actually bring in much-needed transparency and provide new buyers in the art market with the opportunity to easily resell their art. Nevertheless, we need to keep the architecture of the platform and the protocol in-line with the art market’s need for secrecy, and this is a delicate subject we are very aware of. All that being said, I believe that the art market will evolve using blockchain, grow and develop much further than any of us can imagine. 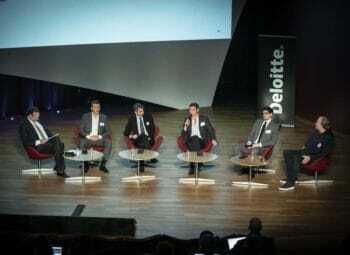 Many start-ups are embracing new technologies such as blockchain, artificial intelligence, virtual and augmented reality. Are you following any of these start-ups in particular? Yes, we are following as many projects as we can. We are informed about everything that is happening within the blockchain space related to art, projects such as Verisart, Maecenas, Codex Protocol, Masterworks.io and, of course, a new type of digital art on the blockchain such as CryptoKittes. We are also following Acute Art as a platform that is utilizing new technologies to create specific art pieces native to VR. We hope that art pieces like these will bring more value to the VR ecosystem, considering their innovative approaches to new developments of art. We don’t think there is a fully developed solution yet, especially one following international standards in terms of cultural heritage semantics and ontologies. We are incorporating the CIDOC-CRM standard used by ICOM and many custodian cultural heritage institutions in order to provide cross-sector compatibility once institutions start incorporating blockchain into their own procedures. We believe that following already developed and used standards is essential to successful blockchain implementation. While doing this, we hope that our initiative will drive standardization and the need for an international collaboration. We have published recently an article on How Millennials Are Changing the Art World. How do you think Millennials will impact the Art Market and the Luxury Industry in general? Millennials are native adaptors of digital technologies. Not only millennials, but also generations to come after them. They will become accustomed to new technologies much faster than we ever could. Today, having VR equipment in classrooms is a matter of prestige, but it will undoubtedly soon become the norm, a way to educate students better and prepare them for the future that awaits them. We will probably be fearful of how new generations will use technology, but we cannot escape this future. We can merely follow it and embrace it. What we are trying to do with VR ALL ART is envision this future, understand it and create smart solutions and quality content for the use of new technologies in the fields of art and culture. Can you tell us about your hopes for the company? We hope that VR ALL ART will become a main go-to location for art enthusiasts to explore arts and culture in virtual reality. We believe that the implementation of our affordable surface scanning technology will also significantly impact the sector, especially given that digitalization is an excellent way to protect cultural heritage. By creating more immersive experiences, we will be able to explore how art actually impacts the public and experiment with that knowledge. Throughout our history, art has been a cornerstone, a driving force of the development of our civilization. Our hopes are that we will have a role in its further growth. Any personal dreams for the future? My personal dreams are to have access and the ability to work directly with the greatest artists and art pieces on the planet, while giving them new freedom and presenting them to the whole world. I wish for the importance of art and culture to grow and believe that this will only be possible with new educational tools that are widely used and adopted. With the addition of the “fun factor” that virtual reality holds, we will teach new generations about history, culture and humanity. The dream I have for myself is to achieve something that has never been accomplished before – to connect the dots on a worldwide scale, like merging Parthenon sculptures with a 3D scan of the actual Parthenon in virtual reality, preserving forgotten art or art that is hidden from public, and creating experiences which are impossible to create in reality. 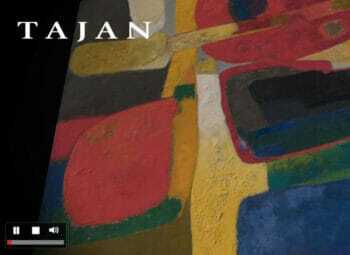 Compiling all art pieces from famous painters in one environment or creating exhibitions with pieces impossible to access in one place, such as non-movable objects – now everything can be presented within contextual exhibitions in virtual reality. That is my dream.